Posts and comments are scattered and hard to manage. How to increase social activity? Help members? Act on insights? Track results? Network Activator gathers activity into a single flow, reducing time required for management from hours to minutes. 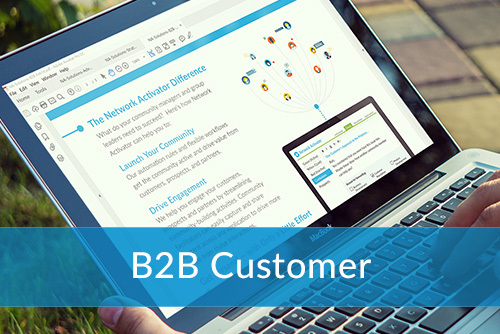 Easily bubble up content to engage members, and report down into the business with the insights. 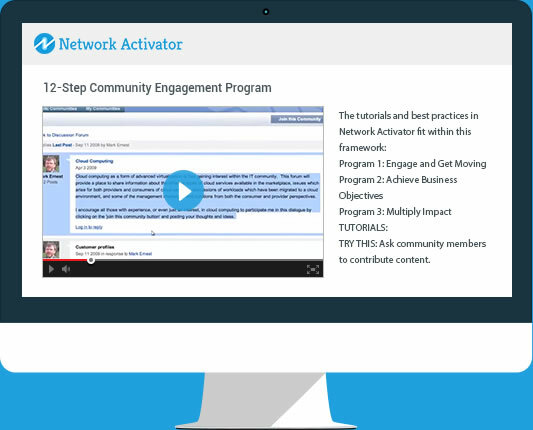 Network Activator turns ROE (Return on Engagement) into ROI (Return on Investment) for your social business initiative. 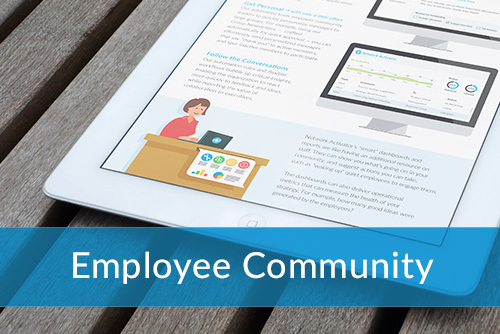 Without member engagement, there is no community. Our suite of browser-based tools drives engagement by streamlining community-building activities, delighting members and minimizing repetitive tasks. Community-tested procedures, processes and templates guide every stage of community creation, growth and management, ensuring success with whatever social networks and community platforms you use. Streamline member acquisition, welcoming and support efforts while minimizing repetitive activities. 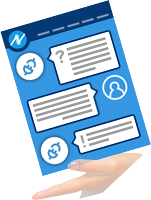 Create and deliver member messaging faster. Never send another “Dear Member” message. Our automated tools empower community and group leaders to quickly personalize messages to large groups with just a few clicks. Know what members and moderators are doing. Keep topics and business goals on track through our member activity logging and tracking functions. Every online community is a gold mine of member insights on new products, support topics, internal efficiency and branding ideas. 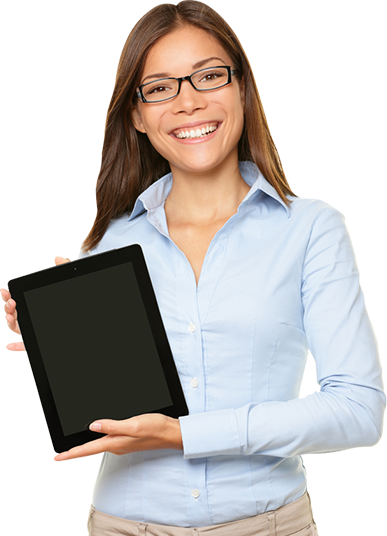 Our tools find and deliver this valuable and perishable information faster. The tool tracks and aggregates your community team’s activities and observations, bubbling up nuggets for inspection and action. Our collaboration tools and guided workflow will help your community team turn data and conversations into information, implications and conclusions. The community team can now share the flow of insights with internal and external stakeholders, buttressed by supporting data and metrics. 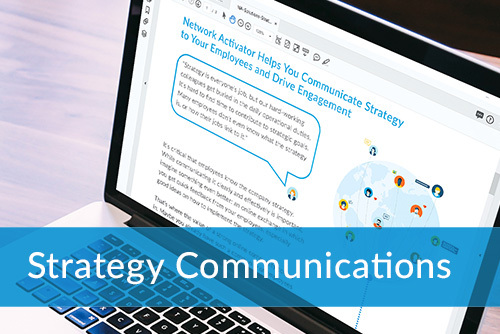 Enhance business processes by adding a common social layer - Network Activator's APIs allow you to glue community interactions and content to other business aplications. Community stakeholders and sponsors want to know "How are we doing?" 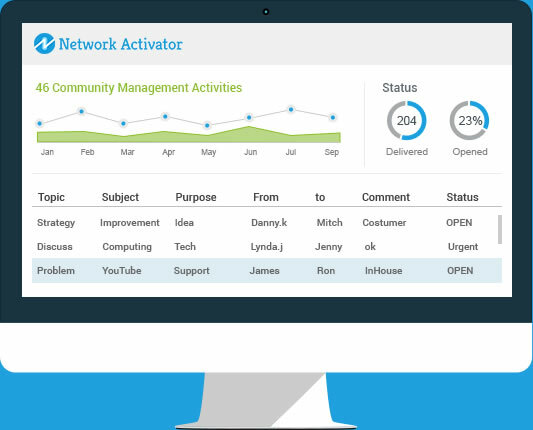 Multiple dashboards give an overview and in-depth look at every aspect of online community operations and business measures. 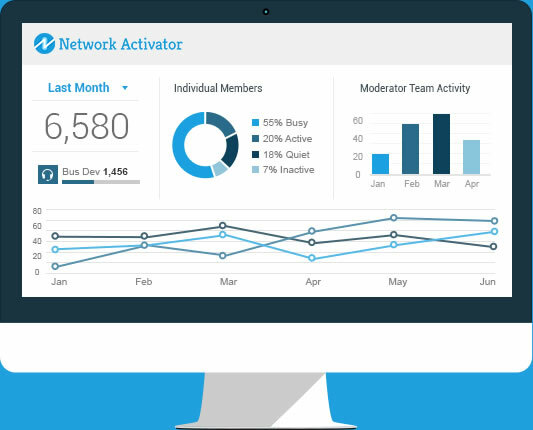 Our integrated tracking monitors community activity and helps your team translate this data into KPIs, social metrics and business value measures. Are your outreach programs working? Which work best? On which prospects? 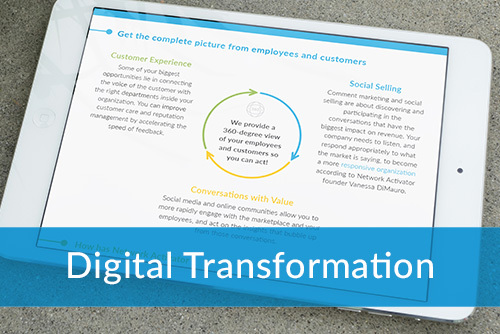 Our tools turn hard-to-quantify data into actionable information – quickly. We don't just measure member activity. Managing a large community means monitoring how well onsite and remote moderators and volunteers are performing. Our dashboards include proprietary strategic benchmarking tools to measure and compare your community’s progress towards its strategic objectives. An online community never stops. To help you keep up, we offer one-click tutorials, training, best practice and tech advice right in the application. Get in-the-moment tutorials on processes and workflows, or use our CM training materials for group instruction and senior executive briefings. For large and complex communities, we support a "Center of Excellence" collaboration tool for community staff development and sharing best practices. Use our curated library of research reports, presentations, webinars, white papers and other resources from global community experts to up your game. 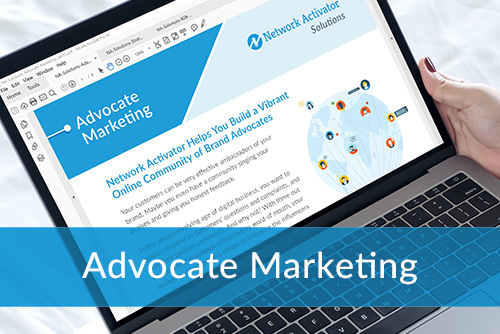 Network Activator is browser-based, compatible with most online community platforms and all public social networks. 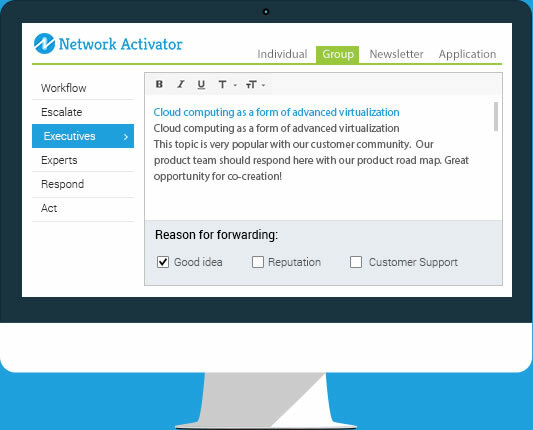 If you’re looking to grow your programs quickly, Network Activator has the solution for you. 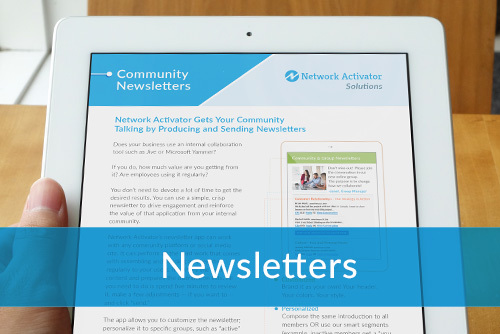 Boost Community Engagement by up to 50% with Network Activator's Newsletter App.